51-97626 - Mark Roberts Limited Edition Spring Collectible; 2019 Collection. 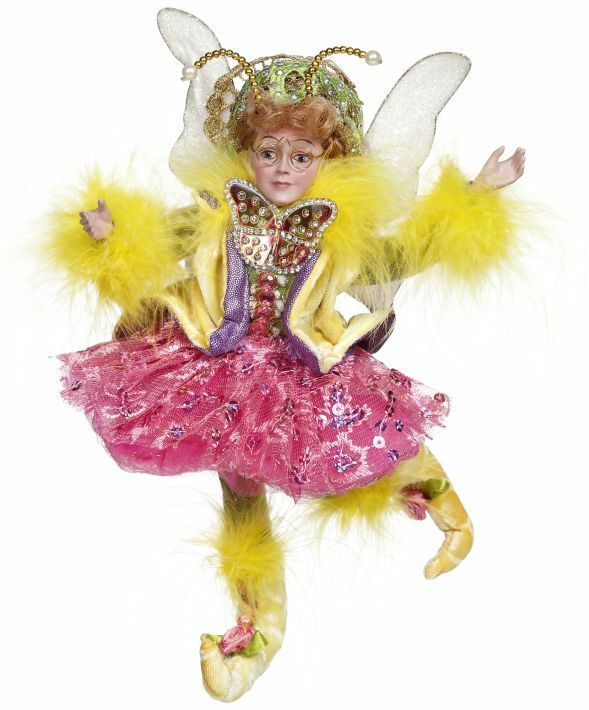 Small fairy, 8 inches. PLEASE NOTE THAT WE ARE ONLY ABLE TO PROCESS AN ORDER DURING OUR REGULAR BUSINESS DAYS (MONDAY TO FRIDAY). IF AN ORDER IS PLACED AFTER 4PM IT WILL NOT BE PROCESSED UNTIL NEXT BUSINESS DAY. SHIPS ONLY WITHIN THE MAINLAND U.S.A.
Spring Base Stand Medium 12 inches Free Shipping U.S.
You may also like ..
Mark Robert Tooth Fairy Small 8.5"
Gold Fairy/Elf Royal Chair 5"